Media Size: 22" x 17"
Add a little inspiration to your workday with this one-page-per-month desk pad calendar. Planning pages range 12 months from January to December. Each month features a panoramic floral image, unruled daily blocks, 12-month reference calendar and a large ruled area for notes. 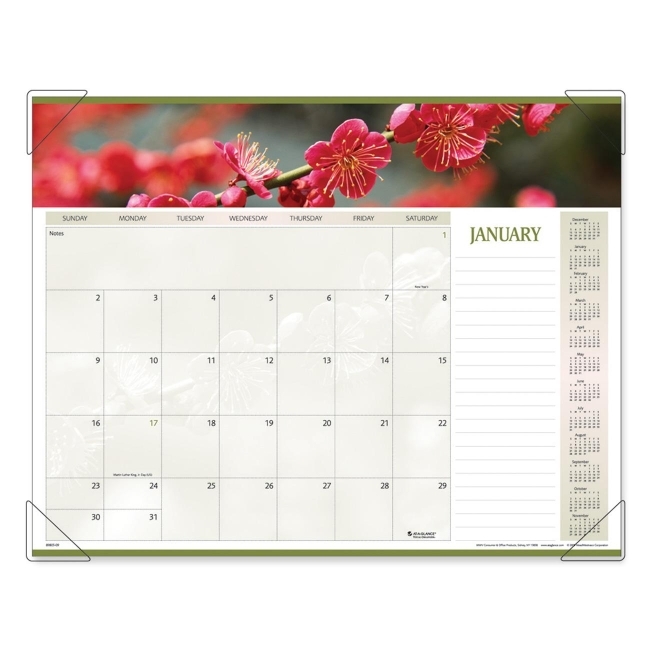 Desk pad calendar offers clear vinyl corners to keep pages neatly in place and three bonus pages with a current yearly reference calendar, future yearly reference calendar and a dates to remember page. 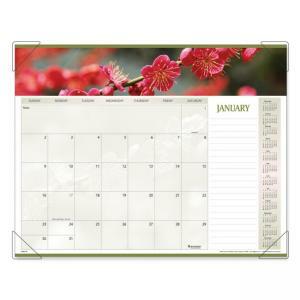 Calendar is printed on heavyweight recycled paper that contains 30 percent post-consumer material. $24House of Doolittle Planner - 24" x 37"
$13Blueline Rediform Ecologix Monthly Wall Calendar (REDC171103) 12" x 17"
$18House of Doolittle Vertical Wall Calendar - 12.25" x 27"
$17House of Doolittle Executive Desk Pad Calendar - 24" x 19"
$19House of Doolittle Wall Planner - 18" x 24"
$32House of Doolittle Reversible Wall Planner - 32" x 48"
$31House of Doolittle Horizontal Wall Planner - 66" x 33"